On our way up to Good Commons, one of the snacks they stocked “The Good Bus” with was an incredibly tasty beet and white bean dip. 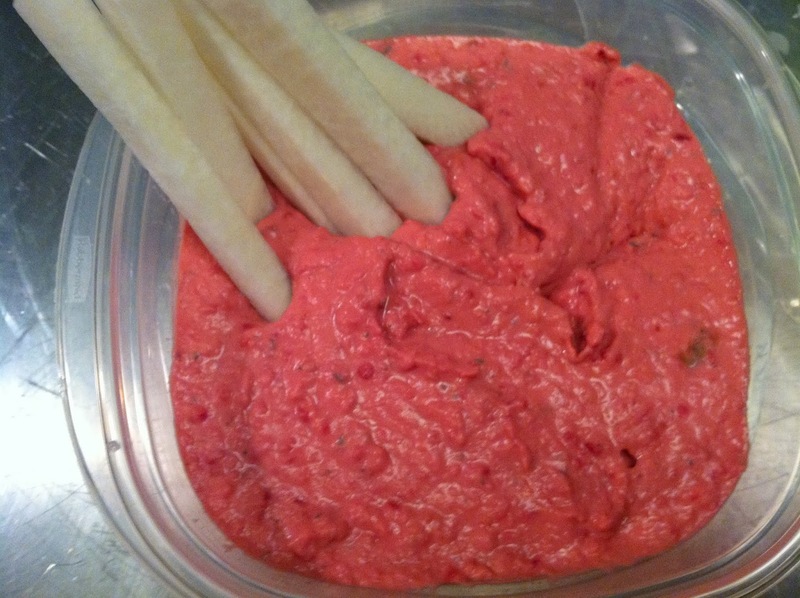 They served it with parsnip sticks, which were crunchy and a little spicy, but I was so surprised by how good this dip was that I knew I had to try and copy it when I got home. I’ve really tried to incorporate beets into my diet – especially after reading about how beet juice was making the rounds in this summer’s Olympic Village as a natural performance enhancer – but sometimes I just can’t get past the “earthy” (read: dirty) taste they can have. Roasting them makes them a little sweeter, and the addition of sage lightens the whole dip. I tried to copy this completely by serving it with the parsnip “sticks”, but we went back to old faithful, the pretzel chip. Celery would be really nice with this too. If you have kids, I’m sure they’d go crazy over the fact that this dip is pink, since it was a cool little detail even for the over 30 crowd (ahem). 1. Heat your oven to 400. 2. Place washed beet and garlic cloves in a little pouch of aluminum foil. You want to make sure it’s tightly closed, but also has some space so that air can circulate and the flavors can roast together. Bake for approx. 45 minutes. 3. 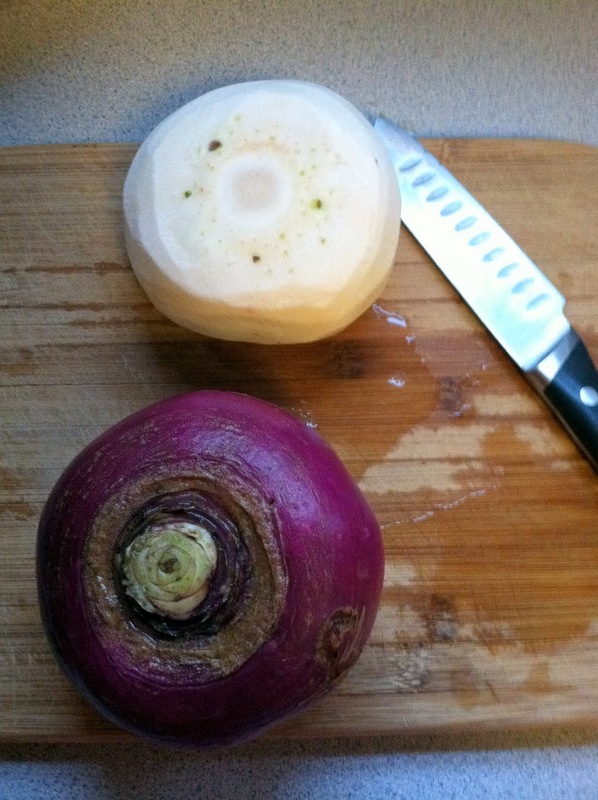 Remove the pouch from the oven – carefully, some of the beet juice spilled out of mine and it was a MESS – and remove the skin from the beet. Again, beets are messy and will stain just about everything, including your hands. Either wear disposable gloves when peeling the skin (which should slide right off after the beet is roasted) or use a paper towel to kind of scrub it off. Chop beet roughly, and add to a larger bowl. 4. 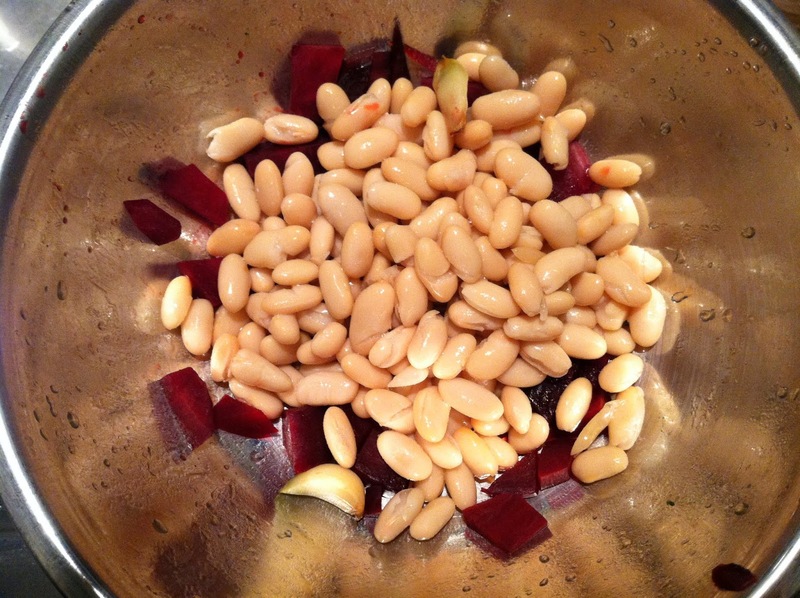 Remove the skin from the garlic cloves and toss into the bowl with the beets. Add chopped sage, lemon juice, and olive oil, then put the whole mixture into a food processor. 5. 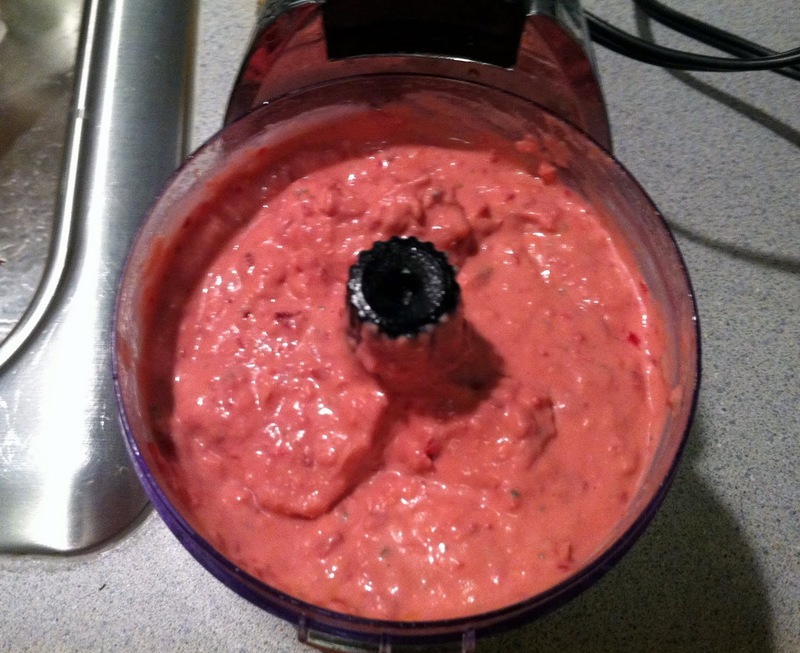 Combine in the food processor until smooth. Add kosher salt to taste, then serve “hummus” with celery, carrots, pretzel chips, or parsnip sticks. Sorry, parsnips. You’re pretty. I tried. 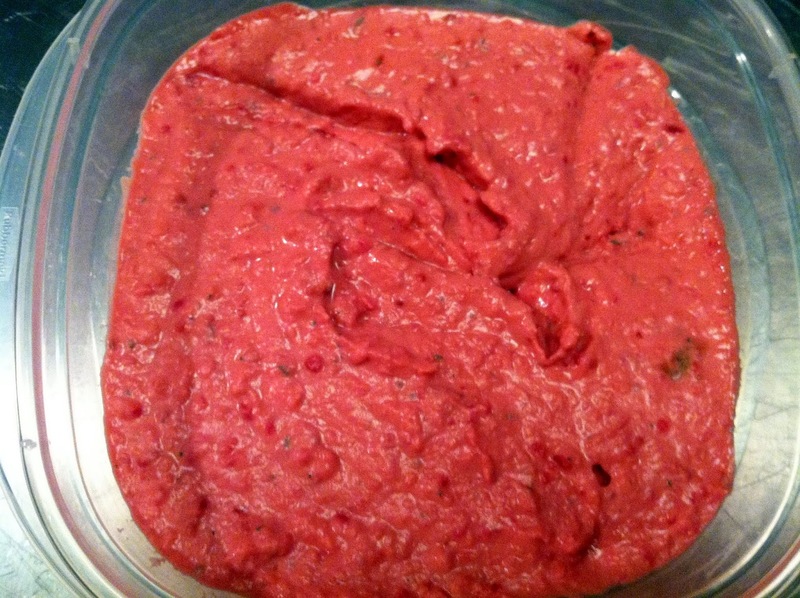 This entry was posted in beets, gluten-free, healthy, hummus, pink, sage, sides, vegetarian on November 7, 2012 by westyn.